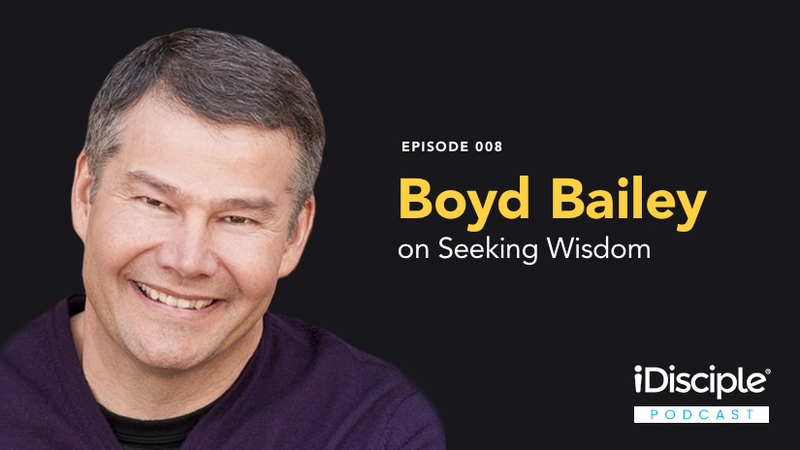 On this episode of the iDisciple Podcast, iDisciple CEO David Henriksen is joined by a good friend of the iDisciple family, Wisdom Hunters founder Boyd Bailey. Boyd breaks down the importance of applying biblical wisdom to our everyday lives, introduces his latest devotional book, and shares with us some of the insight he has gained in over 30 years of ministry. Boyd Bailey is the author of the Wisdom Hunters Dailey Devotional, which reaches over 100,000 readers every day. Along with the devotional, Boyd is the author of more than a dozen books, including his most recent, Two Minutes in the Bible with Jesus: a 90 Day Devotional. Boyd has spent more than three decades of his life in ministry, providing leadership, executive coaching, and mentoring. In addition to his writing and running Wisdom Hunters, Boyd is a co-founder of Ministry Ventures, a faith based non-profit focused on training ministries in the best practices of prayer, administration, and fundraising. Boyd currently resides in Roswell, Georgia with his wife Rita. We pray that David and Boyd’s discussion will inspire you to seek out God’s wisdom every day of your life! Boyd explains how training leaders to be more organized will help them better pursue God’s calling. How important prayer is, and how it should become a cornerstone of your ministry. Why Boyd felt lead to write a devotional based on Jesus and the parables. How Wisdom Hunters was born out of Boyd writing devotional emails to his men’s group. Boyd tells us a powerful story about a woman who was impacted by the Wisdom Hunter’s devotional, and how it reminded him that God is working through him. Boyd walks us through the fifth reading in his newest devotional book, and explains the importance of having a friendship with Jesus. If you would like even more life-changing content from Boyd Bailey, download the iDisciple app for your preferred mobile device and subscribe to the Wisdom Hunters Daily Devotional. Since 2013, iDisciple has been leading people into a closer relationship with God through music, sermons, and devotionals, all in the palm of your hand! Check out iDisciple to learn more, and sign-up for iDisciple today.